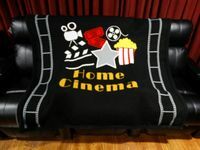 HTmarket.com, the home theater marketplace, brings the movie theater experience to life in your home. Our site features over 325 product videos exclusively done by our own staff. We feature our own You Tube Channel Home Theater TV. With a selection of over 4,000 products and growing, HTmarket.com offers the finest products and accessories available for home theaters worldwide. You can find the product you need by using the conveniently organized category navigation bar above. As HTmarket.com is a part of Yahoo! Shopping, you can rest assured that your order is secure and your information is kept strictly private. We participate in the Yahoo rating system, which allows our customers to rate their experiences with HTmarket.com. We are a Top Rated Yahoo Store, rated 4.5 stars in Yahoo Shopping, as rated by our own customers. 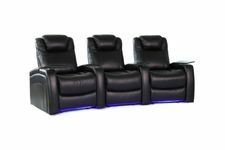 We bring unrivaled experience, as HTmarket.com, the Home Theater Marketplace, has been online for over 18 years. We've specialized in creating perfect home theaters for our customers since 2000! What's more, we offer the largest selection of theater seating from top brands like HT Design, Palliser and Jaymar Furniture. We also feature an excellent selection of 3D and 4K projectors from JVC, movie theater decor, projector screens, popcorn machines, movie poster frames, carpet, lighting, projector and tv mounts. Let us help you make the room complete with furniture, including bar stools, television stands, seating, audio racks, dvd storage and more. With hundreds of great brands to offer, like HT Design, Palliser, Audioquest, JVC, Epson, Stewart, Elite, Dalite, Lane, Sanus and Salamander, HTmarket.com has the products and the expertise to make your movie theater dream a reality. We would be happy to assist you with any questions you may have about our products or about home cinemas in general. To better serve you, our staff of expert professionals have created several useful and insightful articles, which may serve as handy resources when planning your room. Feel free to read the following articles for valuable advice and insights. You may learn something new, or get inspired to try something new with your own house!